The former senior editor of the Organisation for the Prohibition of Chemical Weapons, Bob Rigg, asks: "In a region with a long history of nuclear and chemical weapons, when is a red line a red line?" Chemical weapons have played a major role in the modern history of the Middle East, and continue to do so. Winston Churchill’s proposal to use planes to drop chemical weapons (CW) from planes onto insurrectionary Mesopotamians early in the British mandate was quashed by his chiefs of staff. France and Spain dropped mustard gas bombs over Morocco in attempting to put down a Berber rebellion. Italy, which made extensive use of mustard gas in its war against sometimes bare-footed Ethiopian troops, still debates the merits of mentioning this in official war histories. Although international media have recently been overflowing with speculation about whether CW have been relocated or used within Syria, no one is asking the obvious questions: why does Syria possess a sizeable arsenal of chemical weapons? And why has no one identified this as an issue till now? Israel, with the assistance of France and others, covertly produced its first nuclear device, probably shortly before the nuclear Non-Proliferation Treaty (NPT) entered into force in 1970. It subsequently emerged that Israel was also developing a secret chemical and biological weapons capability. Other regional states, daggers drawn with Israel yet lacking their own nuclear weapons, all too frequently succumbed to the temptation offered by the next best weapons of mass destruction – their own chemical and biological weapons. Israel’s WMD have been, and still are, the key driver of the weaponisation of the Middle East. The paranoid debate about the threat of Syria’s chemical and biological weapons is being conducted as though Israel, Syria’s neighbour and long-standing military rival, has no such weapons, and poses no military threat to other regional states. Why did certain western countries with advanced nuclear knowhow and technology assist Israel’s nuclear weapons programme? Soon after the new UN had been created it decided, in the face of vehement objections from the Palestinians, regional Arab countries, and Muslim states, to create a partitioned state of Palestine, one part of which would be reserved for Jewish settlers. The UN went through the motions of consulting with the Palestinians, who were not represented in the UN. Unfortunately, only when an infuriated Arab world then closed ranks and went to war against Israel did it dawn on Israel’s mainly western backers that, in dismissing Arab and Palestinian opinion out of hand, they had created a state in a hostile neighbourhood that could not survive without massive external political, economic and military support. The West has subsequently armed Israel to the teeth with its most advanced conventional weaponry, while also quietly assisting it in developing and refining WMD and their methods of delivery, mostly before the relevant WMD treaties entered into force. Israel has joined neither the NPT nor the Chemical and Biological Weapons Conventions. Cutting-edge research has been carried out at the Israel Institute for Biological Research (IIBR), Israel’s chemical and biological weapons complex in Nes Ziona, with probable assistance from the US, the UK, Germany, and the Netherlands. The US Congress Office of Technology Assessment has recorded Israel as a country possessing both undeclared chemical warfare capabilities and a long-term, undeclared biological warfare programme. This has torn a gaping hole in the credibility of existing multilateral WMD regimes worldwide, especially in the Middle East. Discomforted by reports of Israel’s burgeoning WMD capability in their polarized region, Arab states and Iran, not yet an Islamic Republic, began to lobby for their region to be declared a zone free of weapons of mass destruction in the mid-1970s. To lend weight to their concerns, almost all Middle Eastern governments eventually stated that they would not adopt certain multilateral treaties prohibiting weapons of mass destruction until Israel also did so. When the CWC entered into force, several key players in the Middle East had already developed a relatively advanced CW capability with the help of the western chemical industry. Of today’s regional states Egypt, Israel, Somalia, South Sudan, and last but not least Syria, are still holding out by not acceding to the Chemical Weapons Convention. Although the West has occasionally paid lip service to the concept of a Middle East free of WMD, most notably at the 1995 NPT review and extension conference, Israel’s importance as a strategic regional asset has until now been allowed to outweigh all other considerations. At this conference the West promised Middle Eastern and other states that, if they agreed to the indefinite extension of the NPT, the international community would prioritise the quest for a WMD-free zone in the region. While developing and non-aligned worlds have continued to support a WMD-free zone, the West has completely failed to deliver on this commitment, even blocking moves within the International Atomic Energy Agency to pressure Israel into ratifying the NPT. The Governor of the Bank of Israel recently observed that Israel can no longer sustain current levels of military expenditure, and suggested that it could improve its balance sheet by seeking peace with its neighbours. He also noted that, if funds were diverted from the military budget to address worrying levels of domestic poverty and inequality, this would also enhance the internal cohesion and strength of Israeli society. Iraq’s large CW stockpiles have been destroyed. However, some of the CW voluntarily declared by Libya’s Muammar Gaddafi had not been destroyed by the time NATO-backed forces swept through Libya. There is now some uncertainty about whether all Libyan CW storage sites were securely guarded during the NATO-led overthrow of Gaddafi’s government. Although some CW may have disappeared into the flourishing regional armaments black market, no one wants to talk about this right now. After all, the rationale for NATO’s intervention was to enhance security in Libya and the region. During the Nasser period the US accused Egypt of having an offensive CW program, while Israel alleged that it was conducting secret biological weapons research. Although Egypt has in the meantime become a close US regional ally, its current CW stockpile is believed to include mustard gas, phosgene and nerve agents sarin and VX. In the context of growing political instability in Egypt, and of Egypt’s alignment with other regional Islamic states including Iran, the security and status of its CW research, production and storage facilities is now a real issue. But because post-Mubarak Egypt is still – just – an ally of the West, its CW stockpile is not under public discussion. It may be useful to consider the current UN investigation into allegations concerning CW use in Syria in relation to two previous regional CW controversies involving Egypt and Iran, which throw interesting light on the UN Security Council’s capacity to function with as much fairness and impartiality as is consistent with the concept of an investigation into alleged CW use. In the early 1960s, when Nasser was at his height, Egypt embarked on the ultimately catastrophic North Yemen Civil War, which has been described as Egypt’s Vietnam, deeply dividing the region and the international community. Egypt was accused of launching gas attacks that caused about 200 deaths, plus numerous injuries. Nasser vehemently denied these charges, with Egypt alleging that two permanent members of the UN Security Council – the US and Great Britain – were waging “psychological warfare” against it. When Egypt declared that it would welcome a UN investigation, UN Secretary-General U Thant said that he was “powerless” to deal with the matter. Given the deep Cold War divisions in the Security Council over Nasser’s Egypt and the war in North Yemen, U Thant lacked the authority to commission an investigation. The revolutionary overthrow in 1979 of Iran’s Shah, installed by the US after a CIA-sponsored coup in 1953, posed another direct threat to US control of the Middle East. The US overreacted, demonizing Iran and adopting a series of drastic measures aimed at undermining its economy. The revolutionary fervor of the new Iranian leadership, comparable to that of the Bolsheviks in 1918, led it to antagonize potential allies in its Middle Eastern neighbourhood and also in the Soviet Union. Its complete political and diplomatic isolation was partly self-inflicted. The US quietly welcomed Iraq’s eight-year war against Iran, providing it with invaluable military intelligence, and not preventing the flow of chemical precursors without which Saddam Hussein would have been unable to produce a diverse palette of CW. In the context of a classic land battle along World War I lines, and given Iran’s reliance on human wave attacks across open countryside, Iraq’s CW were a major strategic asset. In the words of George Schultz, then US Secretary of State, the US had blocked international pressure on Iraq to stop using chemical weapons because “you don’t want Iran to win the war”. When Iraq was emboldened to turn its CW on the civilian inhabitants of a small Iranian town called Sardasht, a community of no military significance, the West, including its liberal establishment, was abjectly silent in the face of all this. The Iranians repeatedly took their case to the UN Security Council, where the US prevaricated, blocking every attempt to extract a critical statement. When fact-finding teams sent by the UN Secretary-General to investigate Iraq’s alleged use confirmed that Iraq had indeed used CW against Iran, their findings were swept under the carpet. Only when Iraq deployed CW against the citizens of Halabja did the UN Security Council finally go through the motions of adopting a statement. Even then the Security Council statement was bland and non-specific, condemning only “the continued use of chemical weapons in conflict”, without specifying who had used them. More remarkable still, given that reports to the Security Council only confirmed Iraq’s use of CW, the statement called on “both sides” to refrain from using chemical weapons, lending credence to the view, falsely promoted by Iraq, that Iran had also used CW. The above two UN Security Council investigations into the alleged use of CW in the Middle East, each of which involved a regional state at loggerheads with the West, were both denials and travesties of justice. The machinations of the UN Security Council routinely rely on heavyweight arm-twisting and manipulation that are incompatible with the concepts of fact-finding and investigation. In this context the current Security Council investigation into the alleged use of CW in Syria, at the height of a vicious civil war, and in the vortex of a polarized international, regional and sectarian environment, should be examined with great care. When the UN Secretary-General announced that he would conduct an investigation into the “specific incident brought to my attention by the Syrian government”, rebel groups argued that its terms of reference should be extended to include other allegations of CW use. The West immediately supported this, while Russia objected, contending that the West wanted to compromise the investigation requested by Syria. The Syrian government initially brought the request, alleging use of CW by rebel groups. The Obama administration initially rejected out of hand any suggestion that rebels could have used a chemical weapon, calling this a“desperate attempt by a beleaguered regime to distract attention from its own ledger of atrocities”. Different US spokespersons and agencies then began to chime in with conflicting perceptions of what had happened. Israeli ministers publicly disagreed about who was responsible, with one minister categorically asserting that the Assad government had used chemical weapons in Syria. The US has for some months now, encouraged by Israel, been ramping up an international wave of indignation and anxiety directed at Syria with respect to possible ‘chemical weapons’ use. Director of US National Intelligence James Clapper in March 2013, warned that “an increasingly beleaguered regime, having found its escalation of violence through conventional means inadequate, might be prepared to use CW against the Syrian people.” Syria has repeatedly asserted that it would never use CW against its own people, leaving open the possibility that, in the event of a foreign intervention, CW might possibly be used against foreign ground forces. As the diplomatic dust began to settle it became apparent that a single home-made rocket had been fired at a military checkpoint at the entrance to the small town of Khan al-Assal, west of Aleppo, killing about 26 people, approximately six of whom were Syrian Army soldiers. The rocket appeared to have been fired from a district controlled by Jabhat al-Nusra, a jihadist group said to be linked to Al Qaeda. The rocket had been carrying, not a chemical weapon, but a caustic type of chlorine known as CL17, commercially available for swimming pools, which, when mixed with water, forms hydrochloric acid. The US government disparagingly dismissed the Russian take on what had happened, and Russia, which has strong historical links with the Syrian government and military, forcefully disputed counter-claims from Syrian rebel groups that Syrian government forces had been behind the attacks, and suggested that the one rocket in question was not a military device. However, as governments sparred with each other, intelligence and CW experts from all sides were working on the ground to reconstruct what had happened. A surprisingly high degree of consensus was beginning to emerge. It was found that the rocket in question was not bearing a payload that would normally meet the definition of a chemical weapon. And perhaps more importantly, military experts could apparently reconstruct the trajectory of the rocket, and could determine that it had not been fired by the Syrian army. As consensus was beginning to crystallize in a manner that was favourable to the Syrian government, Syrian rebel groups and others in the international arena who are desperate to prove that Syria’s government has crossed Obama’s famous “red line” resurrected two vague and unsubstantiated allegations of CW use that had been raised previously. Given the absence of any independent investigation at the time, and the months that have elapsed since then, with possibly vital evidence having been contaminated or lost, it is most unlikely that a retrospective investigation will produce a definite finding of any consequence. When is a red line a red line? Another problem lies with the extraordinary vagueness of Obama’s chemical weapons ‘red line’. If the Syrian army was found to have used a single chemical weapon, could this justify a US attack on Syria to bring down Assad once and for all, or simply a surgical strike leaving almost no scar? Obama is apparently uncomfortably aware of this, and recently used the only slightly less vague expression “a bunch of chemical weapons” in conjunction with the phrase a ‘red line’. When Syrian rebels protested loudly that other allegations of CW use in Homs and Damascus should also be reviewed by the enquiry, their requests were immediately taken up by the US, which demanded that the investigation had to consider “any and all credible allegations of the possible use of chemical weapons in Syria”.The United Kingdom and France also entered the fray, urging “an urgent investigation into all allegations as expeditiously as possible”. Russia strenuously objected to the extended terms of reference, contending that the west simply wanted to slow down and compromise the Khan al-Assal enquiry. As the investigation will take place on the territory of a sovereign member of the UN, the Syrian government must approve the terms of reference for the investigation and the composition of the inspection team, and must also guarantee the safety of the inspectors and the integrity of samples and evidence. Because Syria has not acceded to the Chemical Weapons Convention (CWC), it is not legally bound by its substance, its definitions, schedules of chemicals etc. Yet the inspection team will apparently be guided by the CWC, which Syria does not recognise. And as only governments can accede to the CWC, it goes almost without saying that none of the rebel groups involved in the investigation are bound by its provisions. The CWC did not anticipate a civil war situation in which non-State entities could access and use CW stockpiled by a state. More worrying still, the possibility cannot be ruled out that a state, even one which is a party to the CWC, could launch a clandestine false flag operation simulating a CW attack by Syrian armed forces to precipitate military action by the US to bring down the Syrian government. Soil samples would provide fertile soil for a false flag operation. They are at the heart of the current controversy, with endless talk of how different parties to the civil war, with their own political links to regional and western powers, have smuggled soil samples out of Syria to government-controlled laboratories in the west. Almost anyone, including western governments with an axe to grind against Syria, could contaminate these soil samples with chemical agents of their own choosing. Only soil samples and other evidence collected on site by independent inspectors can be allowed to weigh in the scales when an international military intervention is under consideration. Russian foreign minister Sergei Lavrov recently warned that the west is “politicising” the issue of chemical weapons to justify a military intervention along Iraqi lines. He zeroed in on the crucial importance of ensuring the integrity of evidence and the independence of information-gathering procedures: “Any information that chemical weapons were used should be investigated by experts”. The Russians will certainly block any western attempt to get UN Security Council backing for a military intervention. Members of the European Union have until now consistently refused to back British and French belligerence vis-à-vis Syria. Another Middle Eastern quagmire would not endear them to their voters in a time of political turmoil and acute austerity. If Obama lacks UN Security Council backing, and is not actively supported by the EU or NATO, it seems unlikely that he will risk all on a unilateral military intervention that could blow up in his face. Will NATO be able to act when most EU members, including Germany, have been resisting fierce pressure from France and the United Kingdom to become involved in Syria? 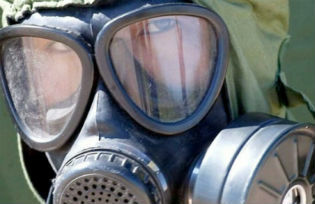 When Ban announced that the inspection team would be sourced through the Organisation for the Prohibition of Chemical Weapons (OPCW), there was a howl of protest from Russia and China, clearly suspicious that the west would try to stack the team with its own loyalists in order to predetermine the outcome of the investigation. Russia and China insisted that they would have to be actively involved in the selection of the team’s members. As the protests have now subsided, their objections would appear to have been recognised. Another problem which no one is publicly talking about is the high probability, in today’s world, that some members of the team may well be working for one national intelligence service or another. Syria will deny team members the privilege of unimpeded communication with the outside world. The team will not like this. Another problem with the potential to scupper the investigation is lurking in the undergrowth. Ban Ki-moon has demanded unfettered access for his inspection team. In the context of an uncivil war, with the inspection team operating through and in conflict zones, Syria’s government will never concede the team’s right to go wherever it pleases. Under the CWC, for example, this is explicitly ruled out, with inspectors being entitled to access only declared facilities. They are not permitted to go on ‘fishing expeditions’. Although Ban Ki-moon has frequently spoken of fact-finding, he has now gone out of his way to ensure that the investigation cannot come up with a clear factual finding that CW have or have not been used by one of the parties to the chemical incident. Through his spokesman Martin Nesirky Ban declared that the investigation “will be technical and not a criminal investigation, looking at whether chemical weapons were used and not at who may have used them.” This truly remarkable piece of Machiavellian word-smithing means that the best possible outcome of the investigation will be a declaration that CW were or were not used. But the identity of those who used them will forever be just another closely guarded UN secret. Bob Rigg is former senior editor, Organisation for the Prohibition of Chemical Weapons and former chair, NZ National Consultative Committee on Disarmament. He is a freelance researcher and writer specialising in nuclear issues, the Middle East, Central Asia, and US foreign policy.